With new posts up on the blog, I feel like I’m getting back into the rhythm of writing. It makes me wonder, what kept me away all these months? Part of it was inspiration, but the other part was an overwhelming influx of social events. Here’s a highlight of some of the “Life” events that kept me from updating this blog. Obviously, November was focused on trying to write a novel for National Novel Writing Month. December and January flew by with seeing family and the holidays. 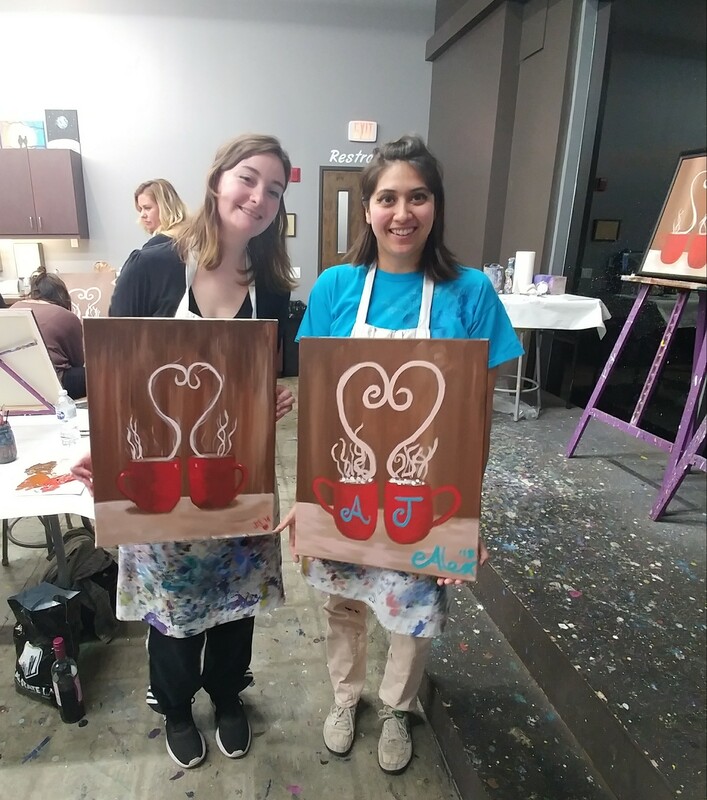 In addition to the usual stuff that keeps everyone busy, I also attended birthday dinners, a baby shower, and two paint nights with friends that were quite lovely. I channeled my inner Bob Ross. 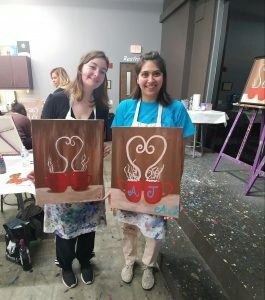 Deanna and I were so excited to paint these mugs. I added marshmallows to my painting because Joey doesn’t drink coffee. February was the beginning of the bad times for me. The month started off positively. After almost a year of heartache and constantly breaking up fights between my two cats, I decided, maybe it was time to get a third cat. Maybe it would bring balance back into my house. We went to our local shelter and talked to all the cats and one little guy stuck his head out and meowed at me before I even got to him. 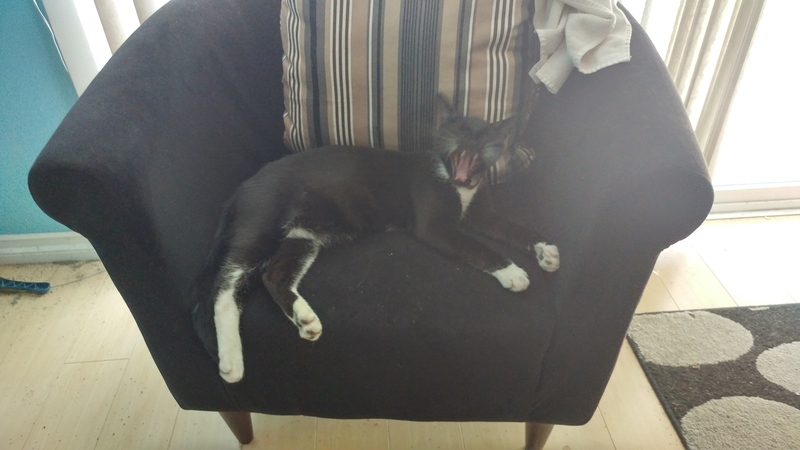 He was a tuxedo cat, just like I was looking for, but could he be the one? We also fell in love with a long-haired tuxedo mama cat, who looked almost identical to our beloved Yoda, but she was aloof. Who would make a better friend for Lilly, the one-year-old talkative cat marked as feral or the 4-year-old mama cat without a care in the world? We decided on the little guy and named him Wizard. 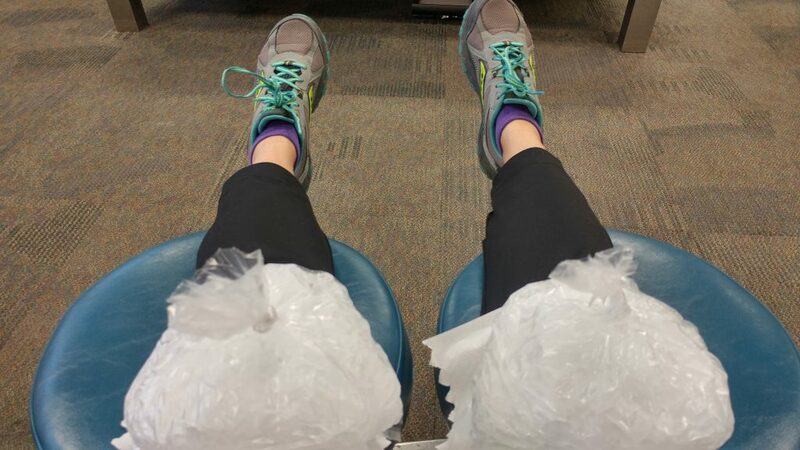 February was also all about physical therapy for my knee, which I injured by riding a bicycle with a frame that was too large for my height. I spent over an hour every night exercising and icing and there was just no time for writing. Unfortunately for me, Wizard and I got into a shuffle dance on the stairs two weeks after starting physical therapy and I fell down the stairs, injuring myself. The next day I lifted a case of water improperly and over stretched my ankle. It was a weekend of injuries that I’m still recovering from and only a few weeks ago was able to start up my Zumba again. Icing my knees became an everyday routine. March was almost the end for me. What started out as a wonderful tour of Sequoia, Kings Canyon, and Yosemite, ended with my life literally depending on the strength of two vice grips. Let’s just say I’m not driving in the snow any time soon. More details on this disaster to follow. 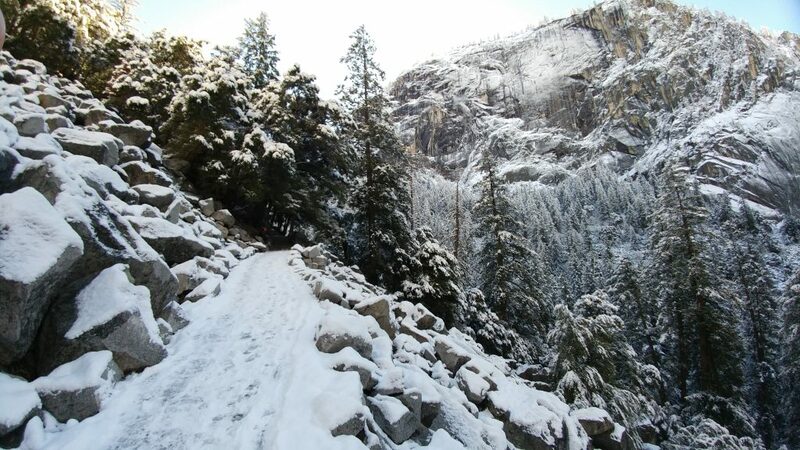 This was our view hiking the Vernal Fall Bridge trail. Snow blew in overnight and we were greeted by this magnificent scene the next morning. Nearly every weekend in April was filled with some environmental event including Spring in the Farm, which is held at a farm located within the local fairgrounds. We learned about bees, pet a hairy pig, chowed down on a breakfast burrito, and experienced a hay bale ride, (aptly pulled by a tractor). We oooed and aawed over the baby rabbits and chickens, and greeted a turkey. Last November we purchased rain barrels at their fall event. On Earth Day, we participated in our local CicLAvia open street event. Several streets were closed between four cities for the public to bike, walk, or skateboard, in the street. 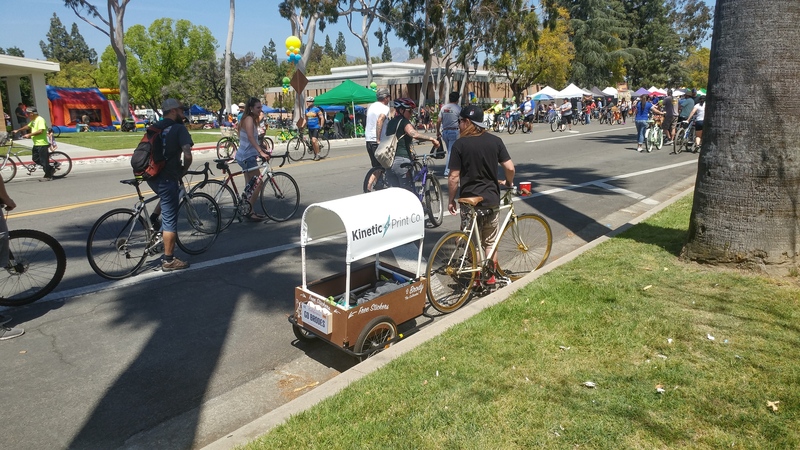 CicLAvia is a non-profit organization promoting the use of public spaces and alternative transportation including cycling. After two years of biking locally alone, it was nice to be in a place with other cyclist. However, it was very crowded. May included birthdays (literally waiting for my friend’s baby boy to be born), the Renaissance Fair, Mother’s Day, a bridal shower, and a baseball game, where we cheered on our local single A baseball team. 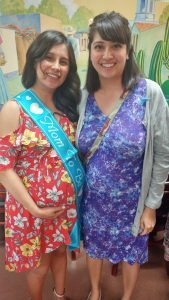 I had a lovely time celebrating my friend, Anahi. Now we’ve reached the middle of June! I am ready to take a breather and catch up on my sleep, reading, and blogging. Previous Previous post: Farewell, nonfiction. I must be moving on. So glad to hear you’re okay and you’re planning on resuming your hiatus from writing! We have to catch up soon!! Thanks! I definitely want to get back in the habit of blogging again. And yes, it’s been too long!